1. 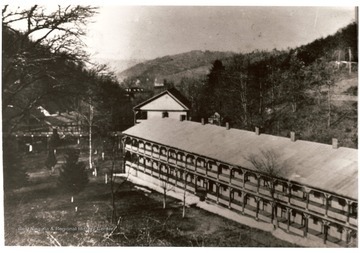 Hotel at Red Sulphur Springs, Monroe County, W. VA.
2. 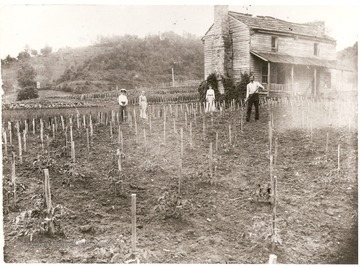 Farm Near Red Sulphur Springs, Monroe County, W. Va.
3. 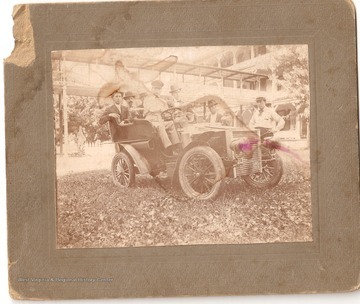 Staff and Guests in a Touring Car at Red Sulphur Springs, Monroe County, W. Va.
4. 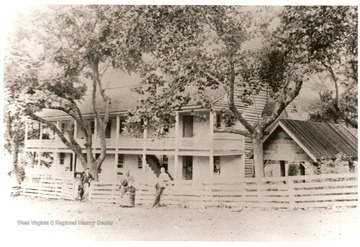 Guests in front of a Hotel at Red Sulphur Springs, Monroe County, W. Va. 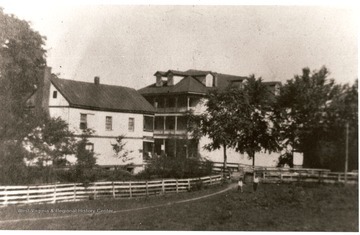 Guests in front of a Hotel at Red Sulphur Springs, Monroe County, W. Va.
5. 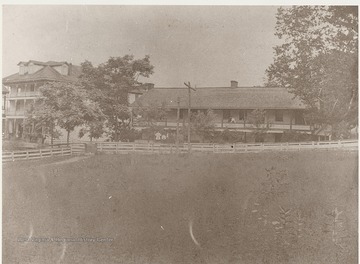 Hotel at Red Sulphur Springs, Monroe County, W. Va.
6. 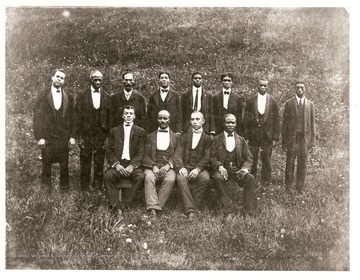 African American Staff at Red Sulphur Springs, Monroe County, W. Va.
African American Staff at Red Sulphur Springs, Monroe County, W. Va.
7. 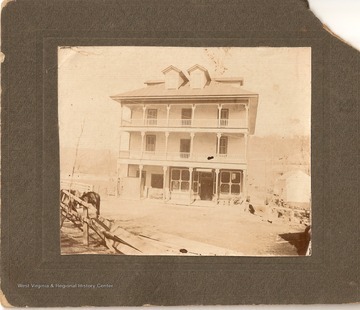 Hotel at Red Sulphur Springs, Monroe County, W. Va.
8. 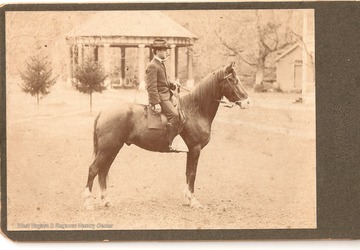 Unidentified Man on Horseback with Gazebo in the Background, Red Sulphur Springs, Monroe County, W. Va. Unidentified Man on Horseback with Gazebo in the Background, Red Sulphur Springs, Monroe County, W. Va.
9. Hotel at Red Sulphur Springs, Monroe County, W. Va.
10. Tourists on a Bridge at Red Sulphur Springs, Monroe County, W. Va. 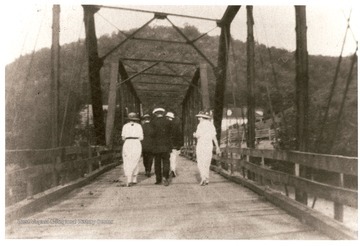 Tourists on a Bridge at Red Sulphur Springs, Monroe County, W. Va.
11. 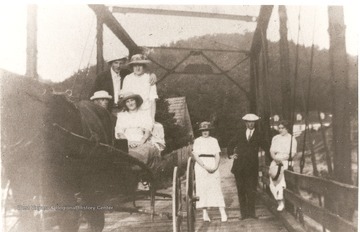 Tourists on a Bridge at Red Sulphur Springs, Monroe County, W. Va.
12. 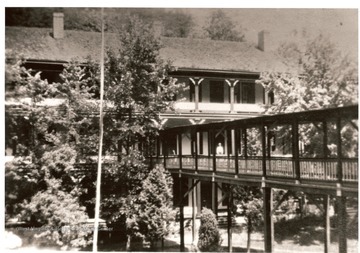 Hotel at Red Sulphur Springs, Monroe County, W. Va.